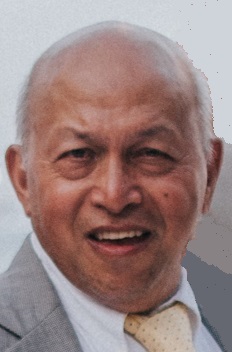 WESTFIELD - Dr. Jaime R. Penaflor, Sr., MD, age 75, passed away on Saturday, January 26, 2019, at SSM Health St. Mary's Hospital in Madison. Jaime was born on September 30, 1943, in Manila, Philippines, the son of Sergio and Petra (Roldan) Penaflor. He married Florence Garcia on December 8, 1977, at St. Mary of the Immaculate Conception Catholic Church in Manila, Philippines. Jaime retired from the Dept. of Justice Federal Bureau of Prisons where he was employed as a P.A. He loved spending time with his family, sports and traveling, especially to Disney World. He visited many countries, including 5 out of 7 continents. He is survived by his wife, Florence Penaflor of Westfield; son, Louie (Ashley) Penaflor of Windsor and their son, Oliver; daughter, Krystal Penaflor of Westfield; siblings, Frank, Romy, Lucy, Emelinda, Nene, Evelyn and Mario, all of the Philippines; other relatives and many friends. 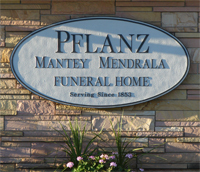 He was preceded in death by his parents and his son, Jaime “Jay” Penaflor, Jr.
Mass of Christian Burial will be held on Friday, February 1, 2019, at 11:00 a.m., at St. Mary of the Immaculate Conception Catholic Church in Portage, with Fr. Gary Krahenbuhl presiding. Burial will follow at St. Mary’s Cemetery in Portage. Visitation will be at the church from 9:00 a.m. until the time of service on Friday.